When we started writing about health products years ago, work on energetically enhancing your bodies ability to fight disease and improve health was in its infancy. As a consequence, improving health energetically seemed something useful to do, but not vital. Quantum physics had proven that everything was essentially energy so, why not deal with the basics. Visionary health professionals talked about how, in the future, energetic medicine would be the strongest form of healing. Now this vision is coming true. With the development and release of a series of powerful frequency enhanced elixirs starting in May, 2008 using energetic frequencies to improve health and fight disease is now possible. The Energetic products we are going to tell you about are proving to be powerful healing supplements. The principle they work on is simple. 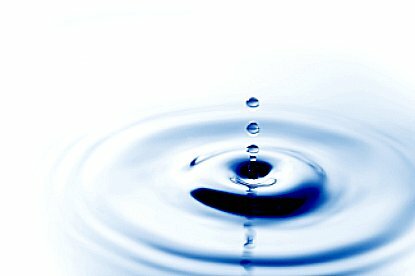 Research has shown that water will vibrate at the energetic frequencies they have been exposed to. The developer of the Energetic Elixirs has been able to concentrate and stabilize these frequencies so that when you take a little of these elixirs, the fluid in your cells also picks up this vibration and respond to it. The Elixir is essentially delivering a message to your cells. Depending on the vibrations being delivered, the cells will be stimulated and influenced to respond in a variety of ways. This is essentially what homeopathy does. The difference lies in how the Elixirs are energized and in the fact that the energies use have great ability to stimulate healing in the body. Before vitamins, minerals, and enzymes, before tissue pH, before any molecular component can play a role in facilitating human health, your cells are reliant on electricity. The human body actually generates 3 volts of electricity. This energy is used by the brain to send signals, by the heart to respond to stimuli and is used by every cell in the body to communicate with each other in order to facilitate cellular change. A drop in electrical activity is most noticeable in terminal patients that are "wasting away". These Energetic Elixirs enhance and energize your bodies electrical activity with the frequencies that they transfer to your body when you take them. They literally send messages to your cells, telling the immune system to turn on or elicit some other needed response in your body. All of the Energetic Elixirs use the ancient model of healing based on subtle vibration and energy to discharge patterns of disease. Energy healing has been used for thousands of years in many cultures throughout the world via a wide spectrum of modalities from breathing and movement techniques, to meditation, acupuncture and natural herbal remedies. What brings about dramatic healing from the above-mentioned energy modalities is the transfer of subtle energy to the cells guided by vibration. The importance of vibration cannot be overstated in terms of how subtle energy communicates with our cells, enabling them to change their structure and function. Vibration encodes how the energies are used by the cells. They are not at the very top of the list for fighting disease because they work by stimulating a response in the body and if your body is not in good shape, that response gets diffused. So in general the "hard" supplements like Zeolite Enhanced with DHQ must also be used. The Elixirs are the extra punch that helps these products work better. Each of these Elixirs is charged with a specific energetic frequency to address its targeted response in the body. HCG stands for Human Chorionic Gonadotropin. This a hormone produced by the placenta during pregnancy where it exerts very strong control over the woman's metabolic functions. When HCG levels are raised, these fat reserves are called on to serve as fuel. The more calories you need, the more fat that is burned. Custom Elixir HCG increase levels of HCG by telling the body to do so. Charged with energies that when they enter your body, instruct it to aid in the natural flow of the lymphatic system. Stimulating the removal of excess fluids, waste, debris, dead blood cells, pathogens and toxins. Contains energetic vibrational frequencies that signal your body to repair and regenerate the myelin sheath that coats and protects the nerves. Depending on the severity of damage to the myelin sheath, use 1 to 3 bottles monthly of this 2 ounce dropper bottle. SIBD delivers the message to your body to tell it to significantly increase bone density - fast. These messages will increase the speed and amount of bone density improvement. Tells the body vibrationally to reduce or eliminate allergy symptoms. This includes airborne allergies, food allergies, even chemical sensitivities. Allergy Relief uses several different approaches to turning off these allergic reactions. Apoptosis is a process of programmed cell death that occurs in multicellular organisms. Biochemical events lead to characteristic cell changes (morphology) and death. These changes include cell shrinkage, nuclear fragmentation, chromatin condensation, chromosomal fragmentation and decay. Between 50 and 70 billion cells die each day due to apoptosis in the average human adult.This elixir activates the process of natural cell death in rogue cells and potentially rogue cells. BLA delivers frequencies instructing all cells that are overproducing lactic acid (fermentation being their primary mode of producing energy), to stop pumping lactic acid out of the cells into the rest of the body. Blocking these pumps prevents the cells from acidifying the body, inducing natural cell death due to lactic acid buildup. The ability of BLA Enhancer to prevent or reduce the neutralization of BLA's main action greatly increases the effectiveness of BLA. Use the two elixirs, BLA and BLA Enhancer, together when possible. An elixir providing instructions to greatly optimize and improve the functioning of your blood. As this affects every cell in your body, improving delivery of nutrients and oxygen to cells, and enhancing the removal of toxins, it promotes robust health and wellbeing. enhanced elixir that instructs replicating cells to embody youth and vitality. Instructions focus on activating a youth template during replication. These instructions tell every reproducing cell to follow this template in order to emerge as a healthier and slightly younger cell. Something similar to this happens during spontaneous healing. CandXpel is a frequency enhanced elixir that uses a unique and powerful candida elimination method. It delivers a set of frequencies to the body that irritate candida, mold and fungus and cause them to leave the body. Supplies vibrational energies that help to clear negative energies in your cells and around your cellular DNA. These energies may be an underlying cause of poor cellular function and overall ill health and lack of thriving in life. This elixir is instructed to reprogram cellular and DNA energies to support health and well-being. It also transmits instructions that stimulate healthy reproduction of cells. Tells the body to repair any damage to the cellular replication process which causes out of control, too rapid cell replication. As repairing this process is so vital to dealing with an outbreak of nonfunctional cells that are replicating wildly in the body. specially-designed to instruct the body to increase production of DHEA safely and naturally. DHEA production peaks in your mid-20's, with production gradually declining for most people as we age. Dtosin includes instructions to increase production of the Mdm2 protein, the apoptosis inducing factor protein, the MMP (TIMP) protein, the PCNA antigen, and more -- in those compromised cells. And reduces expression and production of the vascular endothelial growth factor, the PMOR enzyme, the hepatocyte growth factor (HCF) protein, the matrix metalloproteinases, the CD31 protein and more, in these cells. designed to reduce the symptoms of presbyopic farsightedness and age-related vision loss, and improve the ill-health factors contributing to age-related vision loss through a series of energergetic instructions vibrationally encoded into the product. These vibrational instructions prompt the control systems of the body to loosen the rectus muscles that lengthen the eyeball itself to the optimal length needed to achieve perfect eyesight, while tightening the ciliary muscle (if needed) to improve eye focus. provides frequencies and instructions to significantly optimize the quality and function of fatty acids into brain cells and throughout the body. The elixir promotes protection of vital fatty acid cells from free radical damage, while also encouraging lipid metabolism in cells. delivering energetic vibratory messages instructing the body to balance all female hormones, specifically lowering those that are too high, and elevating hormones that are too low. This is a general purpose elixir for all women experiencing hormonal issues. Recommended 1 or 2 bottles per month for 4 to 6 months. A vibrational, energetic, frequency enhanced water elixir that supports the body and helps to reduce symptoms that occur during both mild and acute ill health situations. Examples include; decreasing the symptoms of colds and flu, helping the body to cope with the effects of shock due to injury, creating a calming effect on the mind and soul during a crisis, enabling you to make better decisions and to feel more in control. Use it as needed, whenever your body and soul need that extra support. The instructions in this elixir optimize the function of the detox pathways in the liver. The focus is on upgrading or down-regulating the Phase 1 detox pathways that pull toxins from the blood to be removed by the liver. Tells your body to take several actions to reduce or even eliminate perimenopausal or menopause symptoms and to make menopause a much more positive experience. One set of instructions focuses on improving your body's ability to eliminate toxins. Knowledgeable health professionals say excess toxicity is at the root of menopausal symptoms such as hot flashes and insomnia. Your body eliminates many toxins during menstruation and when your periods stop, the toxins they normally would eliminate build up in your body . Menopause Magic turns on additional detoxification processes in your body so it can get rid of these toxins. An important set of instructions in Menopause Magic tell the body to increase to optimal levels, estrogen and progesterone. Many organs are capable of producing some of these hormones and Menopause Magic turns on production of estrogen and progesterone by these organs to produce what would be optimal and natural for the body. Not an excess amount like you can get from taking hormone supplements. The metabolic process in your body is important to overall health in three ways: It breaks down food into energy (catabolism), it provides the building blocks for the creation of new cells (anabolism) and it detoxifies the body of nitrogenous waste. Metabolic Energy Boost Elixir Is a frequency enhanced elixir that contains energies instructing the control systems of the body to improve and optimize your metabolism by increasing cellular energy to the greatest allowable levels, while also improving detoxification of the cells. Supplying energies to inhibit mitosis or replication of non-functioning cells in the body. It is designed to work on its own, and to support and enhance the action of other medications being taken for similar end results. In addition , M-Inhibitor supports healthy cell mitosis and replication. Nurav is a frequency-enhanced, energetic elixir instructing the body to significantly Increase lymph node production of lymphocytes. Nurav also increases the liver’s ability to filter and recycle old or damaged blood cells, while at the same time, significantly increasing the liver's ability to store blood and platelets. Parasite Elixir supplies energies that get to all the parasites in the body, both increasing the ability of the herbs to deal with parasites -- and to deal with the parasites that they don't get to. If you don't eliminate all the parasites, parasite eggs, cysts and larvae, they will continue to multiply. The energetics in Parasite Elixir disrupt, deactivate and kill all stages of the growth of parasites: eggs, larvae, cysts and worms. This elixir is quite powerful and is important to do if you have any types of parasites. Tells the body to take several actions to reduce or even stop PMS and other menstrual cycle symptoms. It's most important action is to instruct the body to reduce high estrogen levels and increase low progesterone levels. Health practitioners consider this imbalance to be the underlying cause of PMS and symptoms during the period. Additional instructions help improve detoxification as excess toxins are often implicated in PMS. Plus the body is told to reduce all PMS symptoms in general. The improvement in both hormones and detoxification and removal of toxins will help to make your periods much more peaceful. The p53 protein is a marker protein in the body that is used to identify cells that are growing abnormally fast. Researchers have discovered that a fragment of this protein seems to do an excellent job of disrupting the function of these too rapidly replicating cells. The PNC Support Elixir uses a set of vibrational frequencies encoded in it to tell the body to produce extra p53 proteins, and to make this particular protein fragment from that extra p53. This frequency- enhanced elixir is a sister product to BLA -- BLA encourages lactic acid build up in unwanted cells which, used in conjunction with PrugX, have become two of our most potent energized elixirs. Quzu supplies energies increasing cellular life force by instructing the body to optimize cellular vibrations per minute. According to Dr. Bryon Gentry, author of "Miracles of the Mind", optimal vibrations per minute for health are 108,000. To improve poor health, much higher vibrations are needed. Quzu encourages life force vibrations up to 400,000 vpm., enabling the immune system to work even better. Regeneration Elixir is valuable for conditions such as osteoporosis or sickle cell anemia as it instructs the bone cells or the sickle cells to regenerate and repair, increasing bone density, or the ability of the sickle cells to function normally. It is rejuvenating at the cellular level for both organ systems and the immune system. Uses multiple routes to help enhance your bodies natural sleep mechanisms such as the bodies pituitary/hypothalamus connections, melatonin production etc. while also helping to reduce the stress related sleep issues such as cortisol production. Sayunt supports and enhances the action of Aromatase Inhibitors. It not only helps them work better, but also protects healthy cells from any interference in their ability to function correctly. This Telomerase Elixir contains energies instructing the body to increase production of enzymes to maximize the anti-aging benefits of intact, lengthening telomeres, as well as turning off production of telomerase enzymes in unwanted cells so that their telomeres shorten and they die rather than living on and on, uncontrolled. Tyovu specifically instructs the body to optimize thyroid and adrenal function. Vagus Signaling Control Elixir is based on the polyvagal theory. While the Stress Reducer Elixir is designed to increase energy and feel good feelings by activating an increase in the production of serotonin, oxytocin and endorphins -- instructions in Vagus Signaling Control are designed to create a sense of inner calm, relaxation and peace. One action it takes is to instruct the immune system to carry any and all viruses out of the body. Additional frequencies drive viruses out of the cells they are hiding in. This enables the immune system to then either kill the viruses or carry them out of the body. YouthVital! provides the best and safest way we have seen to increase levels of the human growth hormone by instructing the pituitary gland to release it.